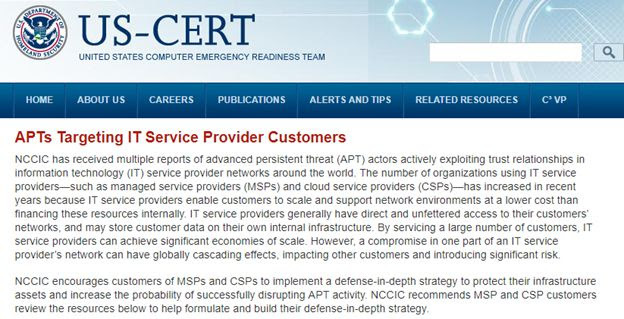 Yesterday, the US Computer Emergency Readiness Team (US-CERT), issued a critical security advisory (shown below) warning of attacks against Managed Service Providers (MSP’s) clients because of the MSP’s “unfettered access to the networks of their clients”. The US-CERT rarely issues industry-wide alerts of this kind so Neoscope felt we should provide our clients with information detailing our “Defense-in-Depth” approach to protecting your networks, systems, and data from compromise by these Advanced Persistent Threats (APT’s) actors. Neoscope has been actively preparing for and protecting against APT attacks by state-sponsored hackers, organized crime, and hacktivists for years now. Please read the US CERT and Neoscope’s counter-measures we’ve implemented to protect your networks and data from being compromise. Employing a full-time Chief Information Security Officer (CISO) who guides our company, our IT projects, and our cybersecurity program development and management, as well as for about a dozen of our clients as their virtual CISO. 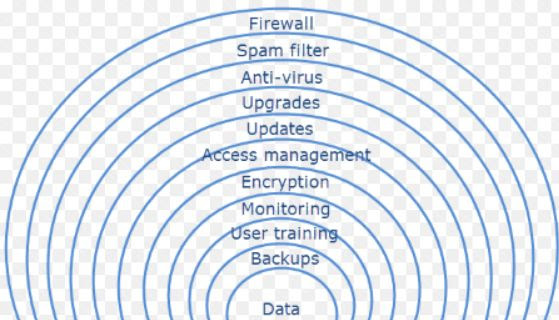 Please reach out to Neoscope’s CISO (Cybersecurity@neoscsopeit.com) with any questions you might have or if you’d like to adopt some of our protective counter-measures in your ownbusiness.